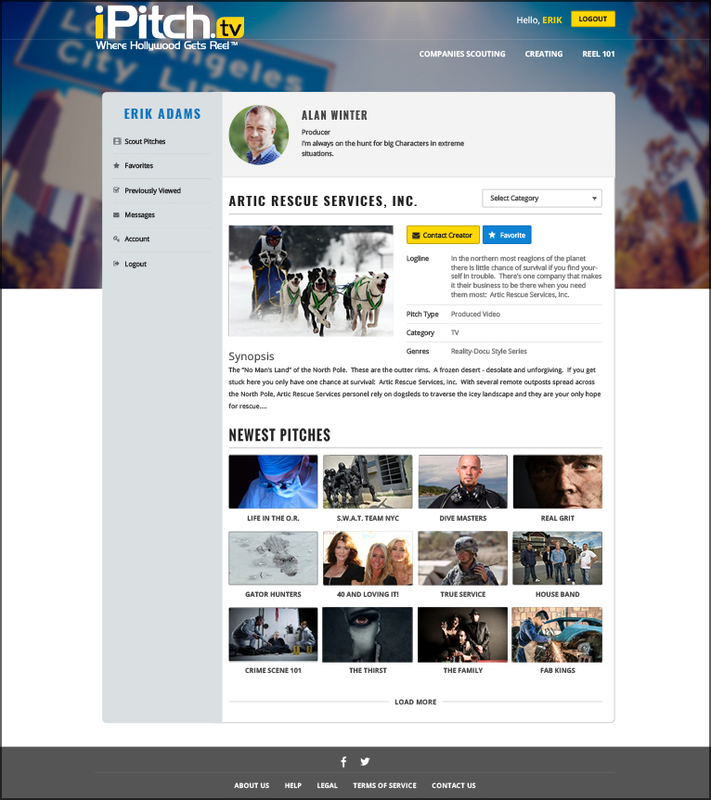 VIEW CREATOR PITCH REELS RIGHT FROM THE PITCH PAGE. MESSAGE CREATORS DIRECTLY TO LEARN MORE ABOUT THE PITCH AND DISCUSS POTENTIAL OPTION AGREEMENTS. AS AN EXECUTIVE MEMBER YOU CONTROL COMMUNICATION WITH CREATORS - THERE ARE NO UNSOLICITED MESSAGES AND YOUR OFF-SITE CONTACT INFORMATION STAYS PRIVATE UNTIL YOU’RE READY TO SET A CALL OR A MEETING.